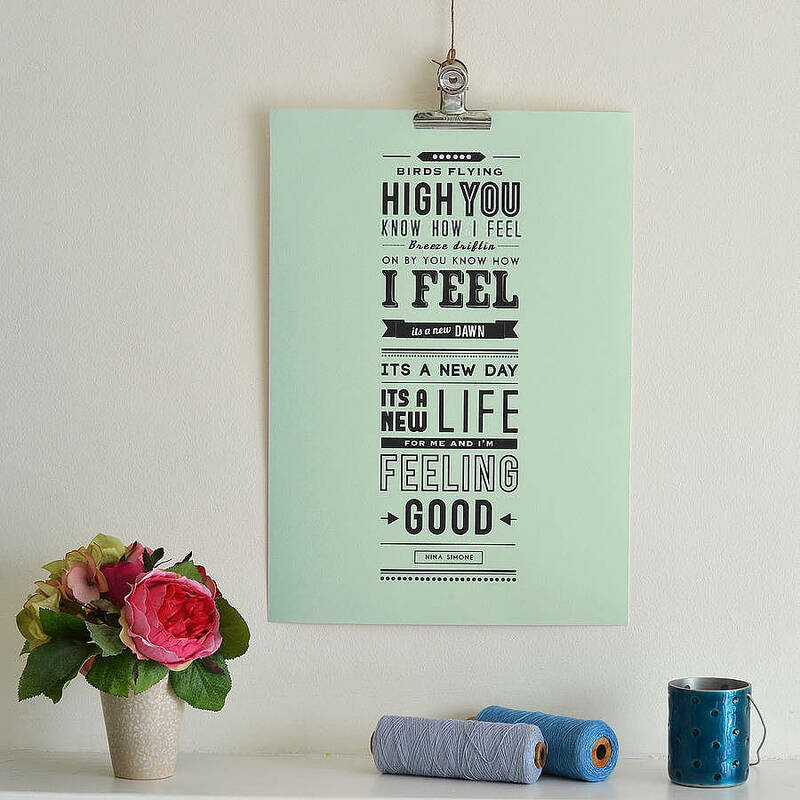 Lyrics from 'feeling good' by Nina Simone, Muse or Michael Bublé. 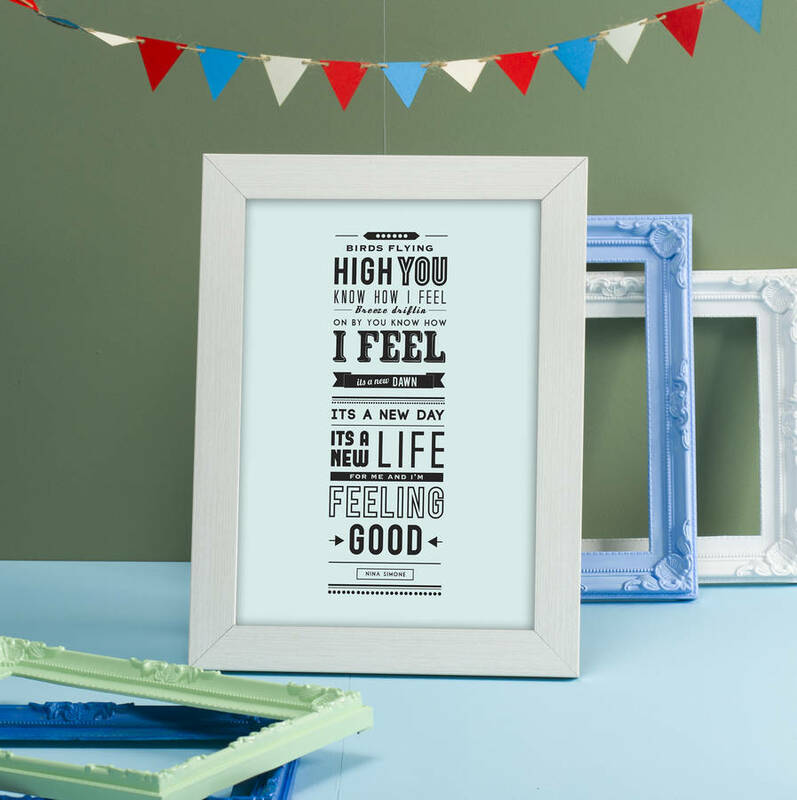 Available in a selection of colours and sizes, framed or unframed. 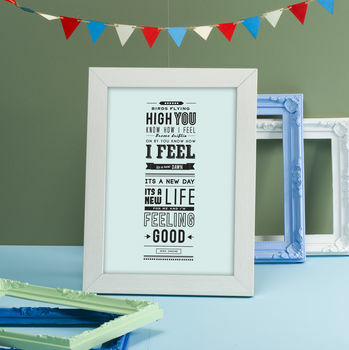 This retro piece makes a great gift for any home. 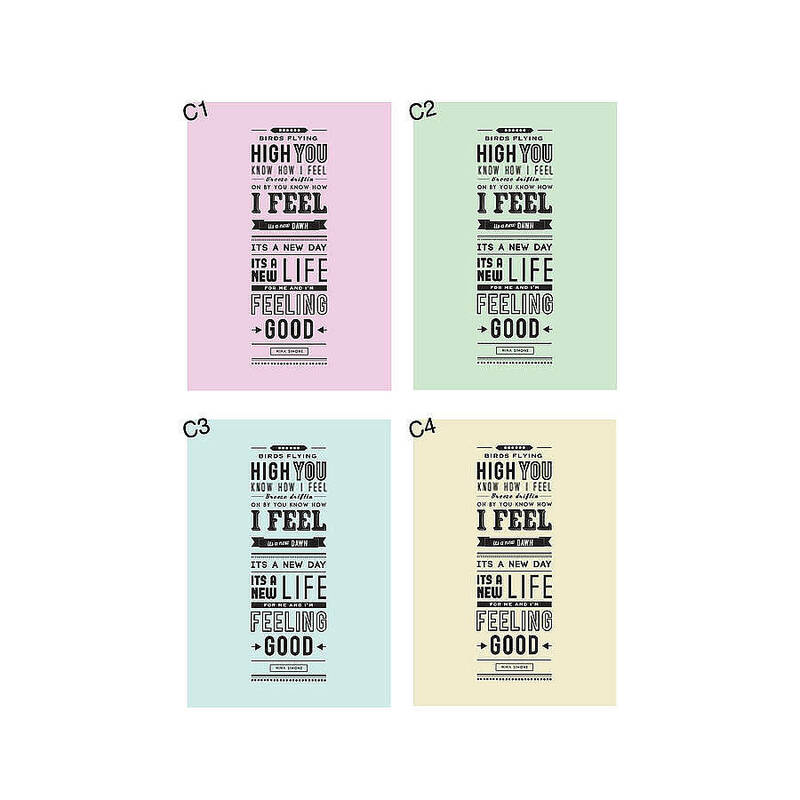 Available in three different sizes, five background colours. 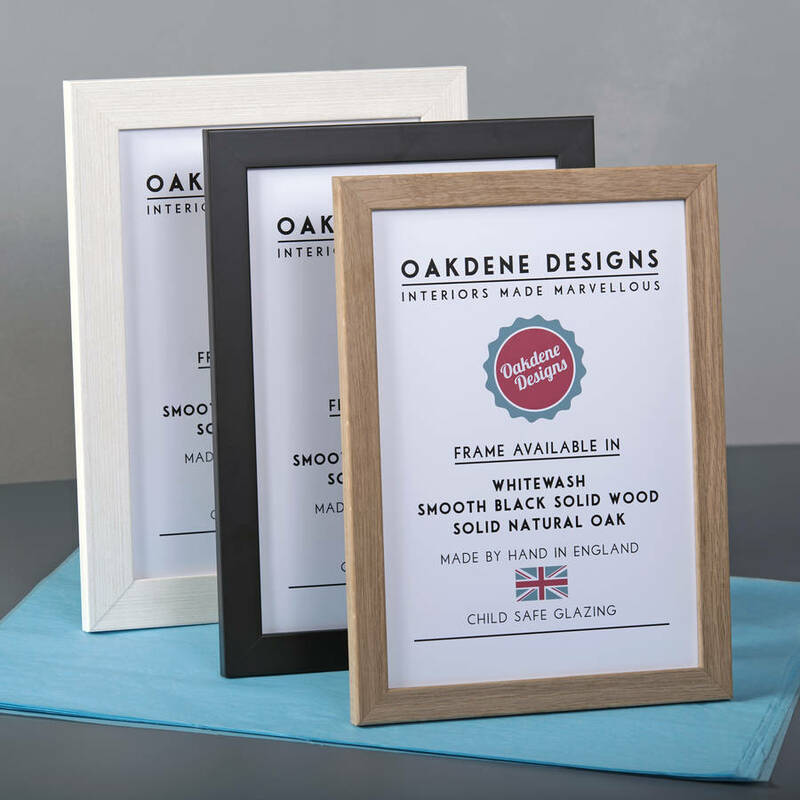 We have three different frame styles and sizes available for our prints which are as follows.- Smooth black solid wood frame, (25mm wide x 12mm deep), available in A4, A3, and A2- Whitewashed frame, (31mm wide x 16mm deep), available in A4, A3, and A2 - Natural solid oak frame, (21mm wide x 19mm deep), available in A4 and A3 Please note that A2 framed prints are not available for international delivery due to their size.